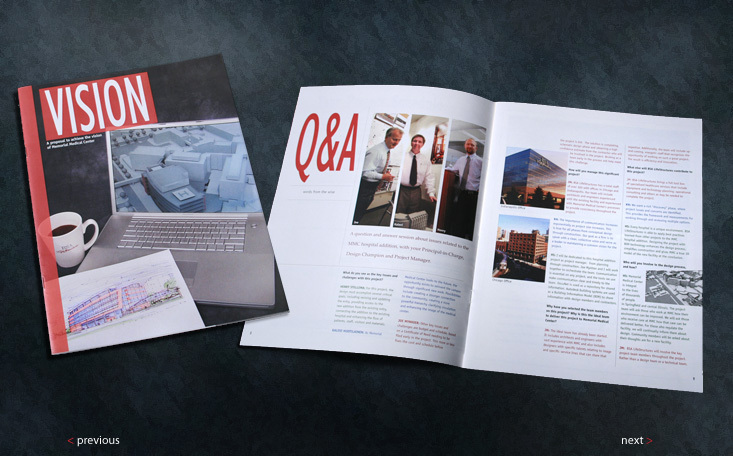 This "magazine" was actually a brochure created to communicate the capabilites of an architecture firm to a potential client. Featured projects were made to look like ads. Profiles of principles set up as a Q&A interview. Result: the firm won the commission.